March 20th marks the official first day of spring, the best season in Boston. OK, fall is probably number one because the weather is just as good and there’s football and foliage. And in the summer you can go to the beach and ride the T without getting hit in the face by some college kid’s backpack. But we can all agree spring is in the top three seasons. Here’s 40 of the biggest events and festivals coming to Boston in the next three months. The Boston Underground Film Festival is both underground (at the Brattle Theatre) AND a film festival. The 21st edition showcases the best in local cutting-edge film and video, starting with the opening night screening of documentary ‘Hail, Satan?’ chronicling the Temple of Satan’s political activism, with director Penny Lane and Temple co-founder Lucien Graves on hand. Other staple events include the annual Secret Screening, Saturday Morning Cartoon block, parties, and more. The 12 days of Boston Design Week — hey, it’s not Boston Math Week — presents workshops, demonstrations, talks and other programs showcasing the brilliance and artistry of designers from all over Greater Boston. More than 80 events will allow visitors to explore urban design, interior design and architecture, fashion, product design, decorative arts, graphics and more. All events open to the public and many are free. Held annually at the Boston Convention and Exhibition Center, the PAX East convention isn’t just one of the biggest gaming festivals in the country, it’s one of Boston’s biggest annual events. In fact, it’s so big I felt like I had to put it on this list even though it’s already sold out, just so you know why the Seaport is overrun by gamers the last weekend in March. Thirty-five years after its conception in 1984, this vibrant festival continues to exhibit bold, compelling films that demonstrate the variety and depth of the gay, lesbian, bisexual, and transgender community. The festival screens films at the Institute of Contemporary Art, The Bright Family Screening Room at the Paramount Theatre, The Brattle Theatre in Harvard Square, and the Museum of Fine Arts, Boston. This year’s lineup includes the Queer Lion winner ‘José,’ a drama about a young Guatemalan man who hides his sexuality from his pious mother until a new relationship sparks him to confront his double life. New England’s premiere tattoo event returns to the Hynes Convention Center for its 18th year, featuring the best in local and international artists tattooing all weekend long, as well as cool clothing and lifestyle vendors, unique stage acts and music, tattoo contests, free product giveaways, and more. Drummer Mick Fleetwood and bassist John McVie are the only consistent members of Fleetwood Mac over its 50-year history that began as a British blues combo, so touring North America without Lindsey Buckingham isn’t that weird (he’ll be replaced by Neil Finn and Mike Campbell). Plus isn’t it kind of cool to know the band is still passionate enough to feud even after this long? Stevie Nicks and the revamped lineup play two dates at TD Garden on March 31 and April 2. The Sox return to Fenway as reigning World Series champs, and the team will probably honor the Super Bowl champion Patriots during the opening homestead. 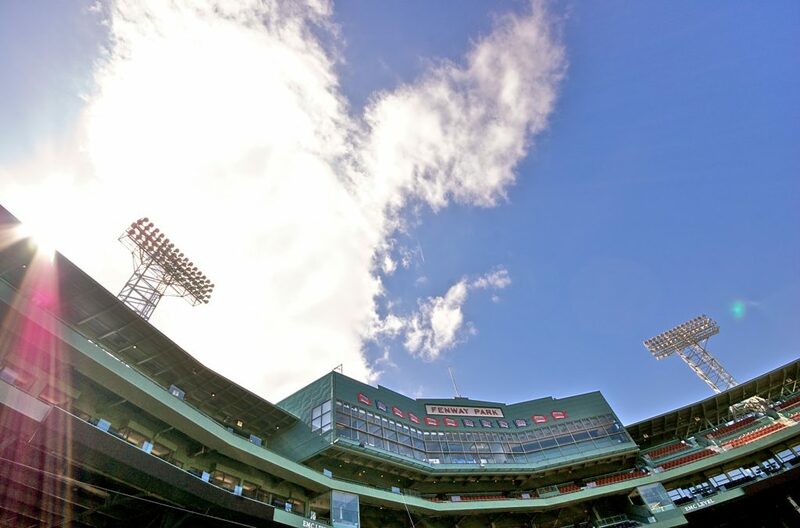 It’s a lot of work for the Fenway event staff, but hey, someone has to win all these titles, and we’re just better at it than any other city. You don’t even need tickets to the game to be happy that the Sox are back at Fenway. Actually if you do have tickets I hate you a little bit, like I hated the kid in elementary school who got to miss school to go to the opener every year. For the rest of us, the start of baseball season is a reason to peace out of work a couple hours early and head to the bar, just happy to take in a sport played outdoors in the sunshine on impossibly green grass. This field, this game — it’s a part of our past, Ray. It reminds us of all that once was good, and it could be again. So the dream of winning four consecutive titles to complete the first ever “Boston Sweep” and forcing all our rivals to acknowledge we are truly the greatest sports city in America… isn’t looking so hot. But both the Bruins and Celtics will bring postseason action to TD Garden this spring, with the NHL playoffs beginning April 10 and NBA playoffs following on April 13. The Cambridge Science Festival returns with more than 250 events over 10 days (and nights) across Cambridge and Greater Boston. Modeled on art, music, and movie festivals, the festival offers activities, demonstrations, workshops, tours, debates, contests, talks, and behind-the-scene glimpses to illuminate the richness of scientific inquiry and the excitement of discovery. Get hands-on with cool science happening in the community, from trivia nights with science journalists to exploring the possibility of other life in the universe. 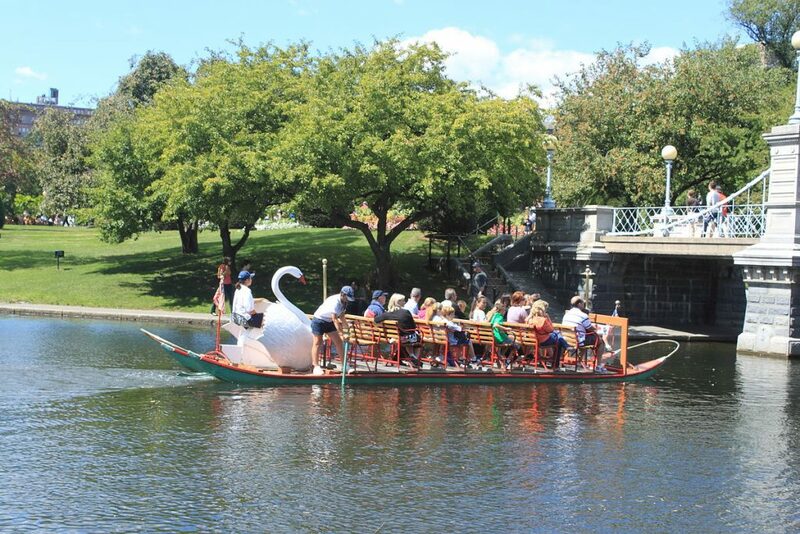 Full disclosure, I’ve never taken a ride on the Swan Boats. I’ve never taken a Duck Tour. I’m sure they’re both fine but I grew up in Boston and that stuff is for tourists. Still, the difference is if the Swan Boats disappeared forever I’d be sad (the Duck Boats can gladly FOH until we need them for the next championship parade). There’s just something about strolling through the Public Garden — yes, Garden, not Gardens, there’s only one, just like there’s only one Common and if anyone says “Boston Commons” feel free to correct them or silently judge them forever — anyways, it’s just nice to stroll through the Public Garden as a Swan Boat drifts lazily along and it’s that perfect temperature where it’s not too cold or too hot or too humid and you’re almost not even aware of weather as a concept. The Swan Boats are probably also a nice thing to do with your parents or significant other if they’re visiting from out of town — it’s OK, they’re the tourists, not you. I only know like one person who’s ever gotten up way before the crack of down to make it out to Lexington for the 5:30 a.m. reenactment of the Shot Heard Round the World and subsequent battle, but I respect the tradition. Every year, history dorks dressed as Minutemen and British Regulars recreate the skirmish — great word, skirmish, just really fun to say — that kicked off the revolution and gave us a day off from school or work on Marathon Monday. It’s also a nice way to remind Philadelphia that Boston is the one true birthplace of this country. We invented America and freedom here and have the battle scars to prove it. Philly just happened to host the meeting to sign a document because it was centrally located and Ben Franklin threw sick parties, that’s why they’re cursed to never win more than one Super Bowl in a row. Boston likes to pretend we do a lot of things better than anywhere else, but it’s actually true for the marathon. 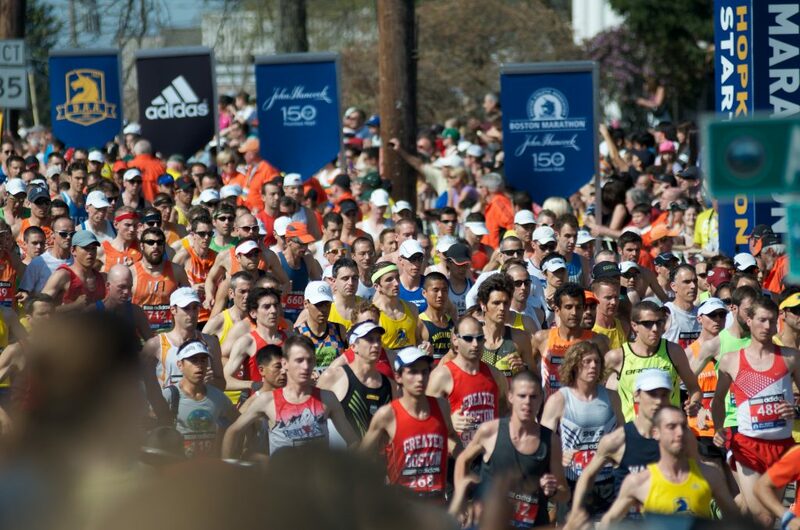 If all the marathons all over the world got together and competed in a marathon, the Boston Marathon would win and it wouldn’t even be close. The third Monday in April brings together the entire city and everyone is just weirdly happy: college kids still learning to pace their day drinking, workers celebrating a day off when the rest of the country is in the office, runners smiling through 26.2 miles because it’s way better than a winter of training runs through snow and ice. Every other city hates their marathon because it screws up traffic; in Boston, it’s the best day of the year. The three-day Anime Boston convention at the Hynes Convention Center celebrates and promotes Japanese animation, comics, and pop-culture, recently expanding to include other aspects of Japanese pop-culture: J-Pop, J-Rock, and live-action Japanese media. Turning 17 this year, the 100% volunteer-run Independent Film Festival Boston showcases some of the best mainstream independent films from around the world at the Somerville Theatre, the Coolidge Corner Theatre, and the Brattle Theatre. Last year’s festival screened 49 features and 52 shorts; stay tuned for this year’s lineup to be announced in early April. Celebrate the first truly American art form with ten days of performances and special events. Jazz Week 2019 presents a positive, musical response to the troubled times we are living in, following in the footsteps of jazz musicians who have carried America’s core values around the world. Many of Jazz Week’s concerts and events are free to attend, including special events for International Jazz Day on April 30. Presented by Highland Street Foundation and produced by the Boch Center, ArtWeek has become an annual award-winning innovative festival featuring hundreds of unique and creative experiences that are hands-on, interactive or offer behind-the-scenes access to artists or the creative process. Two years ago ArtWeek expanded to showcase the entire state’s creative economy. The 2019 calendar of events goes live on April 1. 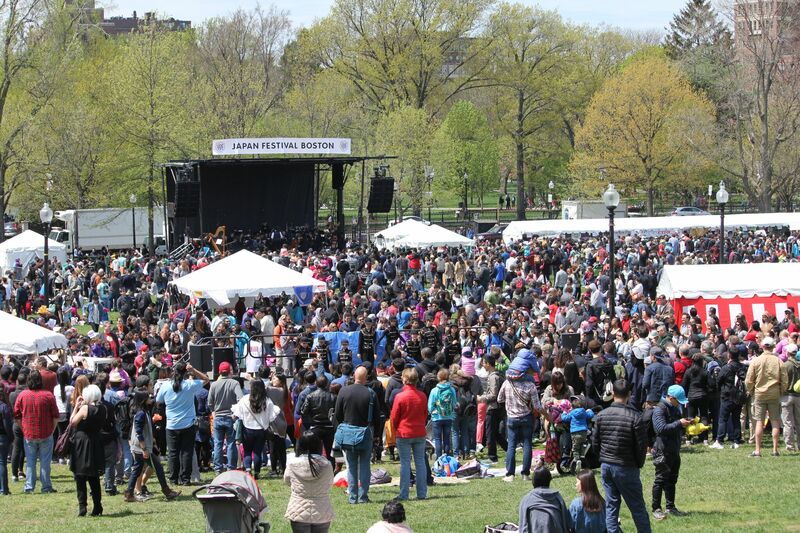 Celebrate Japanese culture and Boston’s relationship with sister city Kyoto at the annual Japan Festival Boston on the Common. A food festival on Saturday is followed by Sunday’s main festival featuring workshops, stage performances, food booths, cosplay contest, raffles, silent auctions, and a kids corner. April showers bring May late April flowers. Celebrate the return of spring with Art in Bloom, the annual Museum of Fine Arts festival of fine art and flowers. Enjoy art from across the MFA’s collection paired with magnificent floral interpretations. Daily events include tours of arrangements throughout the galleries, flower-arranging demonstrations, outdoor walking tours, and more. 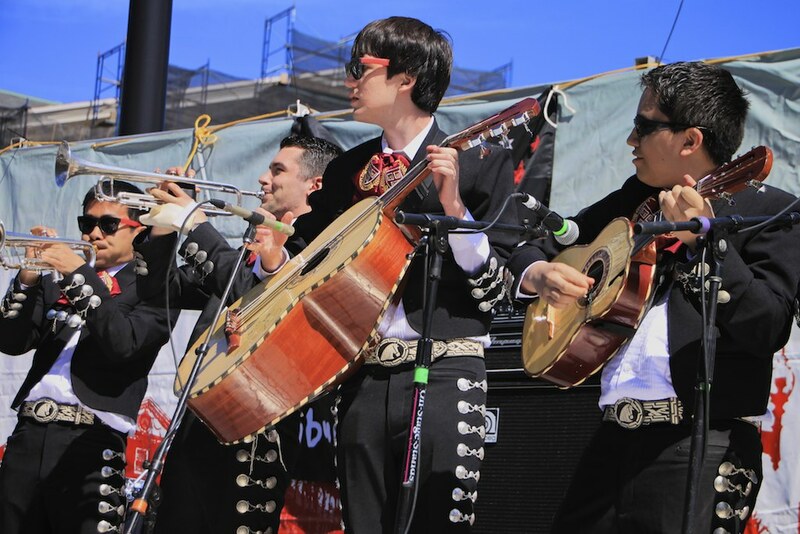 New England Open Markets teams up with the Central Square Business Association to kick off outdoor festival season with more than 20 local restaurants & food trucks cooking up authentic Mexican street food including tacos, flautas, enchiladas, tortas, tamales, street corn, gorditas and more. Grab a beer at the Notch Brewing Beer Garden and shop over 100 artists, makers, import and vintage dealers. Sure it’s not the Head of the Charles, but the Run of the Charles is still the largest flat-bottomed boat race in New England. (Also, no one ever cheated their way into college by pretending to be a member of the canoeing team, that has to count for something.) Race distances include a 14-mile relay and 12-, 6-, and 3-mile races. You might even be inspired to canoe the Charles yourself, at least until you think about tipping over the canoe into the Charles and falling into the Charles and getting some of the Charles in your mouth. You’re not a real New Englander unless you can shuck your own oysters, drink a Dunkin iced in below freezing temperatures, and hold your own on a sailboat. Come on, you’ve seen those pics of JFK looking awesome on a sailboat and wished it was you, right? Courageous Sailing’s annual spring open house invites the public to the Charlestown Navy Yard to go for a free sail on Boston Harbor with one of their experienced skippers. Enjoy complimentary barbecue ashore and fabulous views of the city from the end of the pier or aboard a Rhodes 19 during your half hour sail (voyages are first-come, first-served all weekend). The 21st annual Somerville Open Studios opens the, um, studios of more than 360 artists across the ‘Ville on the first weekend in May. Make sure to stop by the massive Vernon Street Studios complex in Winter Hill. Also, it’s not really an art museum so much as a big weird/scary house you’ve always wanted to go inside, but the Museum of Modern Renaissance on College Ave. just outside Davis Square usually opens to the public for the event. If you’re old enough to remember when Harvard Square was cool, you’re really just remembering when you were cool. The burgers at Tasty Burger are probably objectively better than burgers at The Tasty, no one really liked the crusty punks hanging out in the Pit, and it’s actually kind of nice that no matter what bank you use there’s one or five ATMs so you don’t need to pay extra fees. One thing that’s lasted through Harvard’s shopping mall-ification over the past 35 years is the massive Mayfair festival, a rite of spring drawing more than 150,000 people annually to take in multiple stages of live music and dance performances, plenty of beer gardens, the “Chalk on the Walk” sidewalk art displays, and lots more. Live your urban fantasy every Sunday from May through October at the SoWa Open Market, now in its 16 season and featuring more than 175 vendors plus a beer barn, live music, lawn games, and food trucks. Walk or take public transportation to check out the offerings from local artists and artisans, filling up your canvas tote bag with fresh vegetables from the farmers’ market and a selection of both regular and gluten-free baguettes. How European of you! Somerville’s massive decentralized music festival brings out more than 200 bands, pros and amateurs alike, play for free on porches and stoops and driveways and backyards all over the city of seven hills. 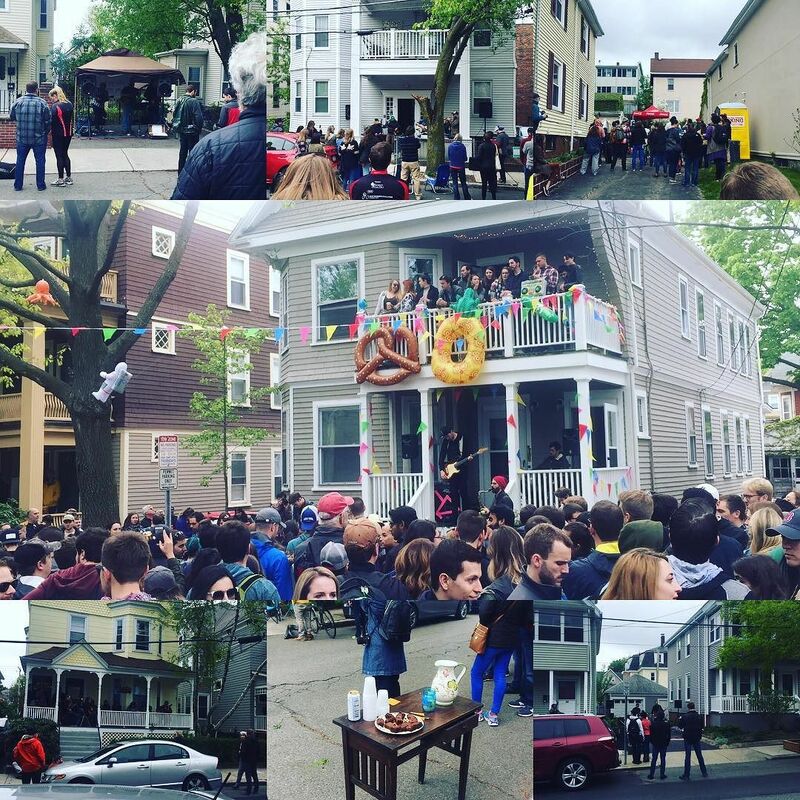 For one magical day we agree to suspend laws against public consumption of alcohol and don’t think too much about the condos popping up all over town and rising rents pushing out the artists that made Somerville and Porchfest so great in the first place. Will Dailey is strumming a banjo and singing one of his expertly crafted pop songs. Tigerman WOAH! is sweating through their overalls and powering through another set of punk-rockabilly tunes and maybe an Elvis cover. A toddler runs up to hug his father’s leg, briefly interrupting dad’s only gig of the year. An elderly man with a walker stands up to dance to a New Orleans-style brass band; two years later you’ll tear up a little just thinking about it. It’s Porchfest and it might be the only good and true and free thing left in this crazy world. Inspired by night markets in Asia, the Boston Night Market at City Hall Plaza follows up on its sold-out September edition with another night of lights, food, games, and entertainment. You can expect plenty of delicious dishes, IG-worthy photo-ops, raffles, a beer garden and more. Waltham is already kind of a weird place, like it doesn’t know if it’s a city or suburb or college town or what and you feel like you’re in a different state. And it gets even weirder at the annual Watch City Steampunk Festival. Yeah, I guess my analog watch is the closest I get to steampunk. The festival features more than 50 vendors, kids’ activities, various food trucks, and multiple performance spaces, plus the opportunity to see real-life steampunk people in the wild which let’s be honest is the real draw here. 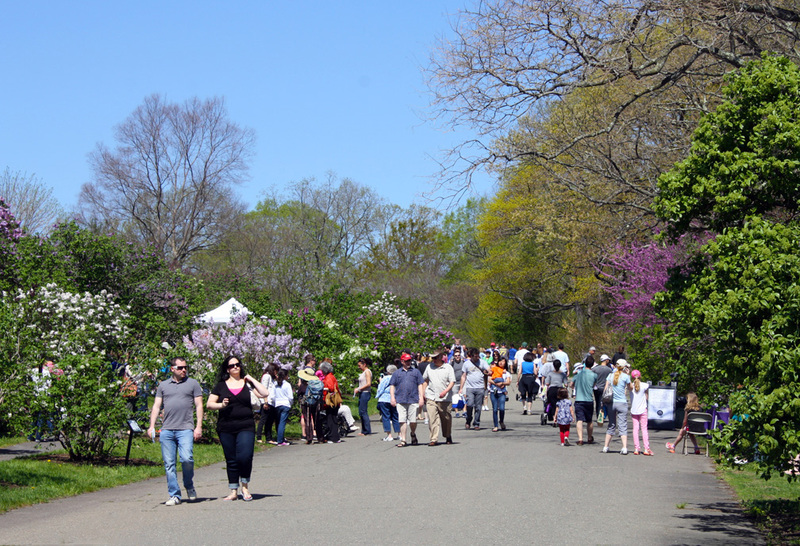 Jamaica Plain’s Arnold Arboretum hosts one of the premier lilac collections in North America, and it’s the only flowering plant in the arboretum singled out for an annual daylong celebration (you know that just pisses off all the other flowers). Lilac Sunday actually dates back to 1908. Put your phone in your pocket for a few minutes and try to imagine yourself living back then: People didn’t really have movies or good music yet and like 99% of jokes were super racist, so looking at a pretty flower was kind of the pinnacle of entertainment. They waited all winter for the lilacs to bloom and then it was so exciting they threw a big party. Lilac Sunday is also the one day a year you’re allowed to picnic in the arboretum, making for a pretty perfect Mother’s Day activity. If there’s anything moms love more than flowers, it’s probably interrupting episodes of ‘NCIS’ to ask a million questions that, first of all how would I know, I’ve never seen this before, and secondly Mom you have seen this one before, you’ve seen all of them. 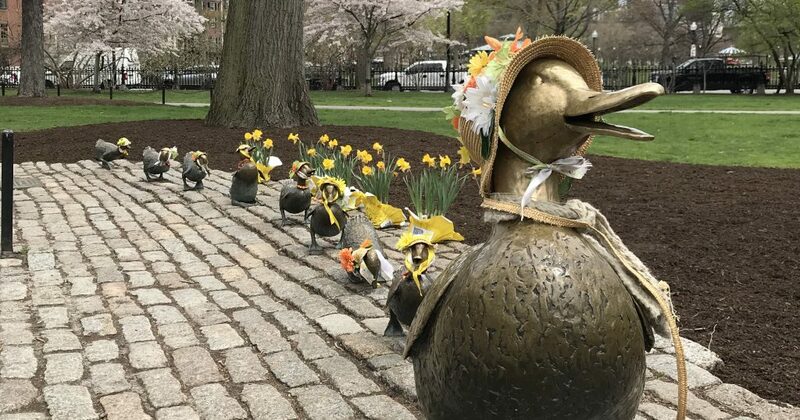 But if there’s anything moms love besides those two things, it’s the Make Way for Ducklings statues in the Public Garden. Probably reminds them of reading that book to us when we were little and just listened instead of ridiculing them for asking a few questions about a show. Duckling Day in the Public Garden celebrates Mother’s Day with a a parade of local children and other family-friendly activities. I know some soccer fans are going get angry that I mentioned the Pats, Sox, Bruins and Celtics completing a “Boston Sweep” earlier and they’re going to email me about forgetting the Revolution. I’m going to write back and say “Dude, scroll down to number 30!” The Revs play a friendly against the English Premier League’s Chelsea FC at Gillette Stadium on May 15 in after the idea was developed by club owners Roman Abramovich and Robert Kraft. The match is dubbed “Final Whistle on Hate” — time’s running out on hate, actually it’s in extra time — and all proceeds from the match will be dedicated to initiatives to combat antisemitism and all hate crimes. Harpoon Brewery rings in summer with its annual HarpoonFest celebration: two days of cold beer, food trucks, and live music. Look we’re getting into some events that say things like “ring in summer” but because they technically take place between the vernal equinox and the summer solstice, I’m counting them as spring events. You can put them on your calendar in advance, or at least know which events you’re going to miss to attend May and June weddings. It’s not spring if your Instagram feed doesn’t turn pink from all the magnolia and cherry blossom pics. The Brookline Cherry Blossom Festival celebrates Japanese culture with music, dance, taiko drums, crafts, activities and Japanese food. Boston Harbor Islands national and state parks kick off the 2019 season on May 19 — even better, opening day is usually a Free Ferry Day with first-come, first-serve tickets available for free ferries to and from Georges and Spectacle Islands. If you can’t make it opening day, make sure to put the Harbor Isnds on your summer bucket list — it’s a great way to get out of the city on a hot day without having to drive through, like, Connecticut. It’s not as cool as the sand sculpting festival at Revere Beach in July, but it’s still the second-best reason to go to Revere. Children build, decorate and fly their own kites. The event also features professional kite-flyers showcasing large kites, music, and other family-friendly activities. This is already the 10th edition of Boston Calling, and the third since it moved from City Hall Plaza to the Harvard Athletic Complex. Twenty One Pilots, Tame Impala and Travis Scott headline the three-day festival, with more than 40 acts on the bill providing something for everyone. Make sure to get close for Friday’s set from the New Orleans funk/hip hop/spoken word collective Tank and the Bangas, who have a legitimate claim to the title of best live band in America right now. 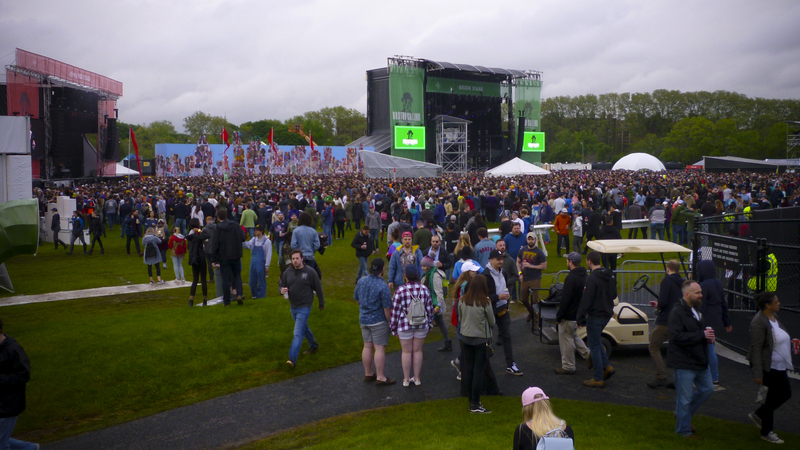 The comedy tent features sets from Fred Armisen, Jenny Slate and Michael Che, plus local comedians and special performances by Boston Ballet. May also marks the unofficial start of outdoor drinking season in Boston. The Lawn on D reopens in late May with a stocked events calendar and those swings every newcomer to Boston needs to take at least one photo on. The beer gardens in Dewey Square and on the Greenway, plus Aeronaut Brewing Company’s summer satellite location Aeronaut Allston, all opened in late May or early June last year, with many more to come. One of the biggest free arts festival’s in the area turns 40 this year, celebrating the arts community with food, arts, crafts, immersive art experiences and multiple stages of live music, dance, poetry and theater. This year the River Festival brings the river to Central Square — no, not literally, although that would be pretty cool, like when they used to fill the Colosseum with water and have navy battles — highlighted by a new Mermaid Parade, a participatory community spectacle showcasing the themes of mermaids/mermen, other water creatures, and the environment. The nation’s largest all-you-can-eat ice cream festival returns to City Hall Plaza with frozen treats from some of America’s most beloved ice cream vendors, but on a hot day in June aren’t all ice cream vendors beloved? This year, a special Scoop@Night event for 21+ attendees includes ice cream plus adult beverages. As always, all proceeds go to support Dana Farber Cancer Institute’s mission to end cancer. The Boston Pride Parade begins at the intersection of Boylston and Clarendon and travels through the South End and Back Bay before arriving at the all-day festival at City Hall Plaza. This year’s theme “Looking Back, Loving Forward” represents the recognition of the 50th anniversary of the Stonewall Riots and is meant to encourage the community to reflect back on the many challenges and incredible victories of the LGBTQ+ community in that time. In the 40th edition of the longest-running dragon boat festival in North America, spectators will be able to watch brightly colored dragon boats race down the Charles River from the Western Avenue Bridge. Races start in the morning, followed by a cultural festival at noon. All programs are free and family friendly.